Are you a frontline social worker, social care leader or occupational therapist with a passion for making life better for adults? Then you will fit right in at Dorset County Council. Find out more about our exciting job opportunities. Maintaining the startling beauty of Dorset takes commitment, dedication and effort and these are attributes mirrored in our approach to social care. We have a strong ethos of quality reflective supervision to help our practitioners grow and develop. The strong mentoring approach within our teams means that you will get support that helps build your confidence and enhance your practice. At Dorset County Council our established focus on strengths-based and person-centred social work means we work with our communities to improve wellbeing. Our principal social worker and principal occupational therapist also ensure that in Dorset, you will always be at the forefront of practice innovation. Want to specialise? Our workers have clear career pathways and, via our performance and development reviews, the support they need to realise their ambitions, whether that’s to be a best interests assessor, a practice educator or something else entirely. In Dorset your good work won’t go unnoticed. Monthly Good Practice Awards are just one of the ways we celebrate the fantastic work our social workers do. For newly qualified social workers we offer an excellent and structured Assessed and Supported Year in Employment (ASYE) scheme built around the expectations of the knowledge and skills statements. To complement our wealth of classroom and online training courses, we have reflective learning groups that bring practitioners together to share good practice in a way that will contribute to your continued professional development. We have embedded the Professional Capabilities Framework and standards of proficiency in our internal competency frameworks so that Dorset social workers are clear about their roles and responsibilities. 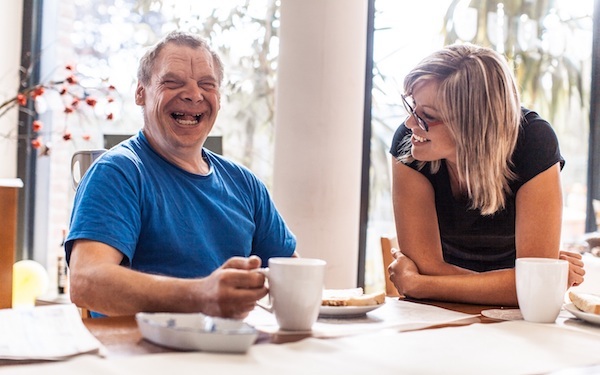 We know working in adult care can be both challenging and rewarding and that is why we are committed to ensuring you can balance the demands of job. In Dorset you will be working for a council that recognises the importance of work-life balance, will help you develop the resilience skills you need, and offers the potential for flexible working. Want a fresh start for 2018? Come and join us in Dorset and discover a great place to both live and work.